BOOKS ARE REQUIRED FOR ALL CLASSES. 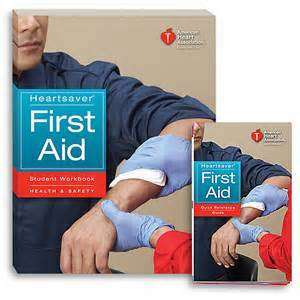 IF YOU HAVE THE BOOK, PLEASE BRING IT WITH YOU ON THE DAY OF CLASS. ADD THE BOOK TO YOUR CART BEFORE ADDING A CLASS, THEN CHECK OUT. BOOK WILL BE MAILED TO YOU IF CLASS IS AT LEAST TWO WEEKS AWAY, OTHERS WILL RECEIVE BOOK DAY OF CLASS. SAVE $2.50 ON YOUR BOOK WHEN YOU PURCHASE ONLINE. BOOKS CAN BE PURCHASED IN CLASS FOR $22 Used and $25 New +tax. Book not included in our prices!! 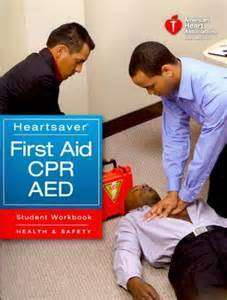 You must bring your book to class or purchase before or during the class. BOOK ONLINE TO GET CARD SAME DAY GUARANTEED! TO SCHEDULE A CLASS PLEASE USE THE WIDGET TO THE LEFT OR AT THE BOTTOM OF THE PAGE. ALL COURSES ARE LISTED ON OUR EVENTBRITE PAGE. CLASSES BOOKED ONLINE GUARANTEE CARD SAME DAY. 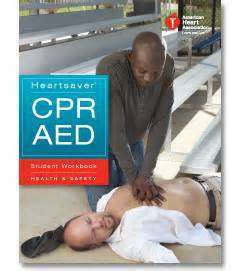 FOR BLS RENEWALS USE CODE " RENEWAL" TO RECEIVE DISCOUNTED PRICE. 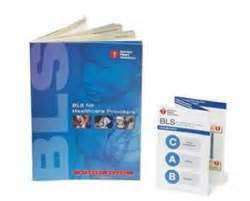 BLS CERTIFICATION MUST BE CURRENT FOR RENEWAL RATE. Students purchasing the online course can start same day. Course info will be emailed to you. Please print completion letter and bring with you to skills testing. Testing available within 72hrs.